About Us: We are a full service alpaca livestock farm, located right off the wine trail in Placer County. Colusa Riverside Alpaca Ranch is proud to offer alpaca sales and breeding with some of the most premier seed stock alpacas with genetic superiority guaranteed to give you offspring with superior fiber and superior Expected Progeny Differences (EPD) fiber trait values in the nation. Our herdsires are all ranked in the top 1% and 2% of EPDs tracked by the Alpaca Owner’s Association. We also offer alpacas for customers who just want a backyard pet. If you want alpacas to begin your own alpaca livestock business, we are also here for you. 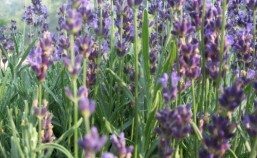 We can provide seed stock in price ranges for all customers. We welcome all visitors to our alpaca ranch in Placer County, and we enjoy being in the family of alpaca ranchers. 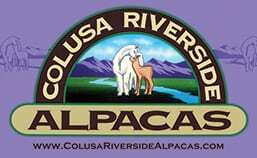 Colusa Riverside Alpacas’ mission is to advance the alpaca and the alpaca industry. One way we do so is by providing the public with valuable learning material in the form of educational alpaca articles published and written by author/owner Sheila Scroggins. Feel free to visit Colusa Riverside’s library of informative articles here.